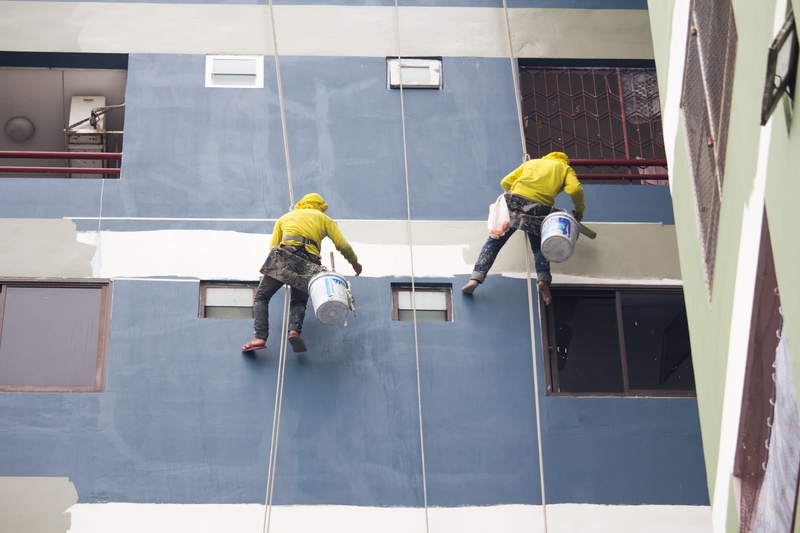 Picking someone to paint your house is one thing, but when you’re a business owner, or manager, choosing the right contractor to paint your place of business is even more risky. When you have your house painted, the most important thing is whether or not you’re satisfied with the look and quality. When you’re working on your business’ walls, not only does it need to look good to you, but to your customers. When your business looks good, it attracts customers eyes, and brings them in. It can also help people trust you more when considering whether to give their patronage to you or your competitors. So it’s important to pick the right contractor to get the job done right. But how do you pick the right one? We’ve put together a list of a few questions to answer before deciding a painting contractor is right for your business. Does the painter have the right insurance and certifications needed? It’s so important to confirm this about any commercial painter you are considering. Using a painter who has the right licensing and insurance can protect you from a number of bad situations in the long run. When a painter has the right certifications and licenses, it means that they take their work seriously. This is a great way to improve the odds of your paint job coming out perfectly. In most areas, being licensed means that the painter is governed by a certain set of standards. Of course, insurance keeps you and your business safe in case of any issues that may arise during the project. Another way to tell that your contractor is high quality and trustworthy is that they are willing to stand behind their work, before they even start. This often takes the form of a guarantee. Find out if your painting contractor guarantees the quality of their work. They may offer specific guarantees regarding to the time frame of the job, the quality of the work, or how long the new paint will last. One thing you’ll want to make sure to ask before the project starts is how long it will take to complete. Since this isn’t your home, it’s your business, timing is essential. Paint jobs can sometimes interfere with your business, and might require you to close shop while it’s in process. It’s important to establish a timeline beforehand, and ask what will happen if the painters go beyond that time frame. An experienced commercial painter should be able to give you a realistic estimate of the time required for the job. Whenever you talk to a painting contractor, they’re almost certainly going to give you a price quote. That’s what you came in asking about, anyway, isn’t it? However, it’s important that you take it a step further and ask for a detailed breakdown of the price, and what it includes. If you are having the outside of your property worked on, does the price include power washing and prep work? Does the price include moving any furniture, or is that up to you? Asking this beforehand will help you avoid any confusion while the project is in progress, and it might save you money on some hidden costs as well.